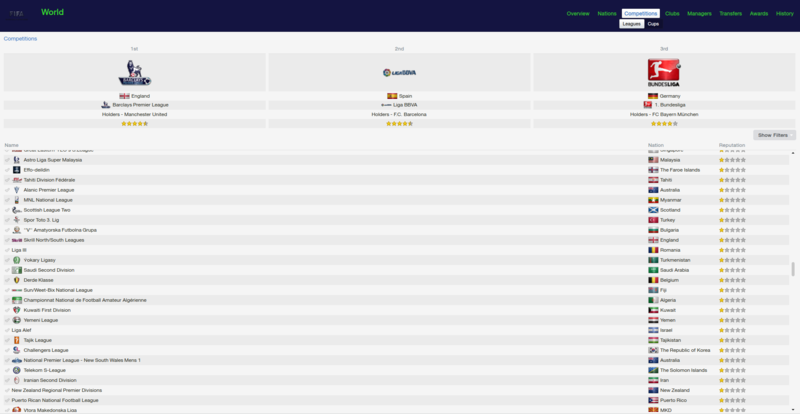 This file is intended for version 14.3.0 of FM14, and will need to be re-applied if/when patches/updates are released to ensure full compatibility. This is due to the fact that some files which are removed when installing this file are re-installed when patches come out. 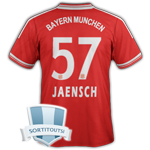 The sortitoutsi real names fix changes the instances of fake names in Football Manager 14 to the proper, real life names for awards, cities, stadiums and competitions, in cases where the actual name is not licensed. It will also fix the fact that the German National team doesn't call up real players. These are fully save-game compatible. 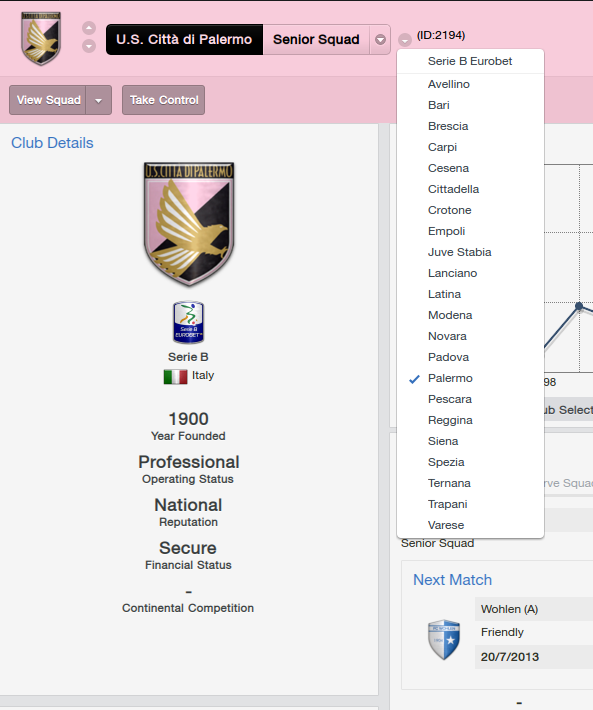 There is also a club name changes file, which changes the names of clubs in a way which ensures that any nicknames entered in the default database are retained. This file includes the proper names for Italian and French clubs to circumvent licensing restrictions. It also adds real-life media and journalists, with 23 media files added to encompass all major footballing nations and continents. It also includes a small file to correct some incorrect national kit colours and ones whose kits were not displaying. Finally, it includes a small file which corrects the 3-Letter competition names to correspond with any changes made in the lnc files. For all these files to work, however, you will need to start a new game. Magrippinho very helpfully created a YouTube video on how this file should be installed. Some of the contents are different - but the procedure is identical, although of course you use the equivalent folder for FM14. For Mac Lion users, the Library folder will be hidden. Use this link to find out how to show it. Step 3: Copy the dbc, edt and lnc folder from this download into the folder mentioned in step 1. Step 5: Open the folder named "editor data" contained therein. If it does not exist, then create it. Step 6: Keeping the folder in step 5 open, go back to the file you downloaded and open the folder named "editor data files". Step 7: Copy everything from the folder in step 6 into the folder mentioned in step 5. To check if the file is working, go to the Champions Cup and EURO Vase, and they should be renamed to Champions League and Europa League respectively. If you are in the middle of a save-game, German national teams will be populated in the next instance that players are called up, and not instantly. If you wish to share this file on another website, please link to this page, but DO NOT rehost this file on your own servers without the express permission of the original author of the file. 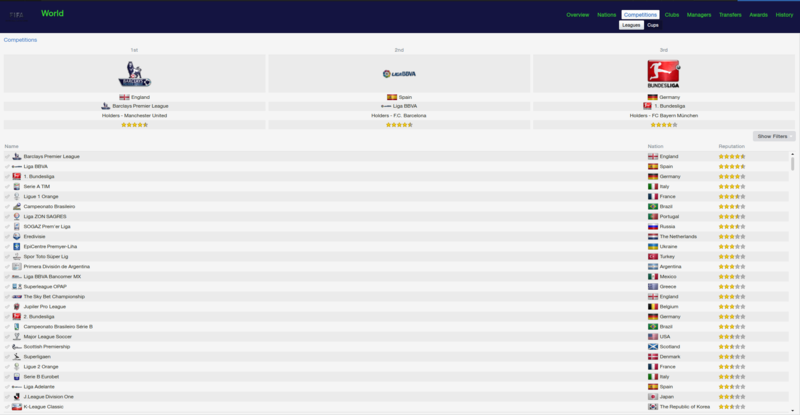 Why is always at FM the dutch national squad coach called Jan Janssen? Everybody knows its Louis van Gaal. Do you have an update for it? "CHANGE_PLAYER_NAME"	4200588	"Louis" "" "van Gaal"
Hello, i have an official version from steam for my mac. all names are changed correctly but the German National Team is still fake. i would be grateful for any help. Did you add this patch in the middle of a save game? If yes, you have to wait till the next time the German national team calls up players. Buy an original copy of the game. Greek players name steel fake! Any help? ok thx i have resolved the problem :-) but i don't understand why i can see french 3d kits if also i have no 3D kits on my pc! I already waited for the Germany Squad to announce but its still fake players. Joachim Löw is trainer and all League Names are correct. I dont get it. Everything works fine now! Thanks for the great work! FM14 wouldnt be as much fun as it is if you guys didnt make this great things!! i am very grateful! you are the best!! BUY the game, or go away. Now that a patch has been released will there be a new file released or can I just re do the above steps and continue to play? i think that it's enough to delete the LNCs the game added, the rest seems the same. What cachirro says is basically correct. Just delete the all folder within the lnc folder and you should be fine. Any ideas when new version will be out for 14.1.4? The latest release is now out. I think the best course of action when there is a patch and the fantastic mons has updated the fix between patches is to download the files again and repeat the process that everything will be correct. I searched for the that file you mentioned a few pages back and it only leads me to your file I've downloaded aha. Any ideas? It's a purchased copy of FM14 that runs via Steam so I have no idea why it isn't showing up. First of all, nice work!!!! Thanks for help me so many times with those files!!!! But this time I'm not getting change the Nations names!!! Doesn't anyone here has banning privileges? What language do you use in-game? Thanks for the quick update! "This file is intended for version 14.1.3 of FM14,..."
Should they all still be there or shall I empty my editor data folder and just put in the latest version?